According to startling new research, more women are now having heart attacks at a younger age. 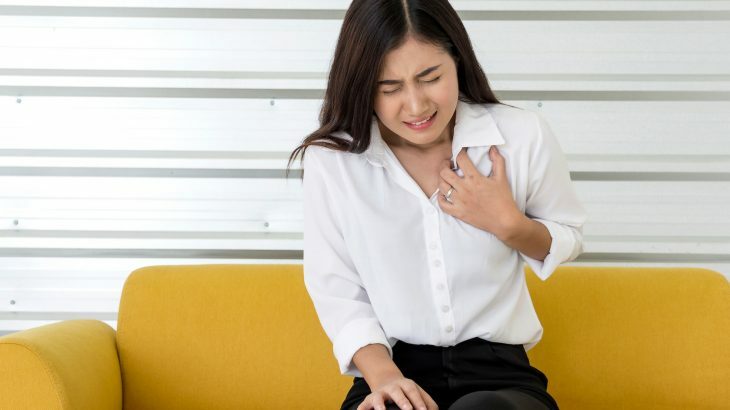 The researchers found that almost one-third of all heart attacks among women since 1995 involved young females between the ages of 35 and 54. Study co-author Melissa Caughey is a cardiovascular epidemiologist and instructor at the University of North Carolina School of Medicine. The investigation was focused on the medical records of nearly 30,000 people between the ages of 35 and 74, who were hospitalized for a heart attack between 1995 and 2014. From 1995 until the end of the study period, the number of patients who were considered young increased by 27 percent, and the researchers noted that this increase was mostly driven by female patients. The study also revealed that younger women who had heart attacks were more likely to have a history of high blood pressure, diabetes, kidney disease, and stroke compared to men of the same age. According to Time, Caughey explained that poorer health among young women may be attributed to high rates of obesity and stress and low rates of physical activity. She noted that obesity is more prevalent among younger women than younger men, and this is particularly true for black women. The research confirmed the results of previous studies which found that women do not receive the same care for heart attacks as men. Caughey told Time that one explanation for this discrepancy is that the symptoms of heart attacks in women are more complicated and not as easy to recognize as the warning signs among men. Even though heart attacks remain the leading cause of death for both sexes, the study authors pointed out that it is still largely considered to be “a man’s disease.” Caughey said she hopes to bring more awareness to the growing issue of heart disease and heart attacks among women. The study is published in a special women’s health edition of the journal Circulation.